A-Advantage Truck & Trailer Service of Pittsburgh Inc.
A-Advantage Truck & Trailer Service of Pittsburgh is one of five companies owned and operated by the Genser family since 1929. Just out of Pittsburgh, A-Advantage is conveniently located on Rt-8n exactly one mile north of Rt-28 (exit 5) and the Allegheny River. Owner and operator Rick Genser offers truck and trailer repair services, tires and wheels, hydraulic service, welding and fabrication, load transfer, equipment hauling, vehicle storage, truck and trailer parts and accessories, and used railroad tie sales. The A-Advantage Gun Shop has also recently been opened in 2010 and offers firearms, ammo, and supplies for sport shooting, concealment carry use, tactical use, self defense, and home defense. All businesses are open Monday through Friday 7am to 5pm and Saturday 7am to 3pm. 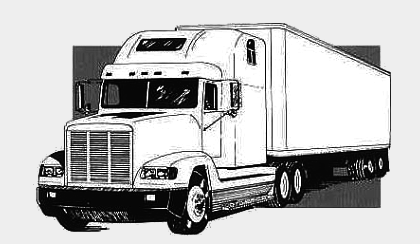 Truck and Trailer services are offered in-shop, and in addition, are available to all points of Pittsburgh and vicinity through a fully equipped line of mobile service trucks, which are waiting on standby to react to all of your road-side emergencies. For a more detailed description of all services offered by A-Advantage, please click here.